Rich in vitamins, a plant source of calcium, phosphorus, magnesium and iron, Sesamo Nero seeds are a functional food for a healthy and natural nutrition. They have a high content of vegetable proteins, amino acids, and above all calcium, they play a restorative and fortifying function of the bones and tissues. Sesame seeds develop and amplify their unique flavor during roasting, which gives a special touch to bread and crackers.In Japanese and Chinese cuisine, they are used on rice, fish or vegetables. 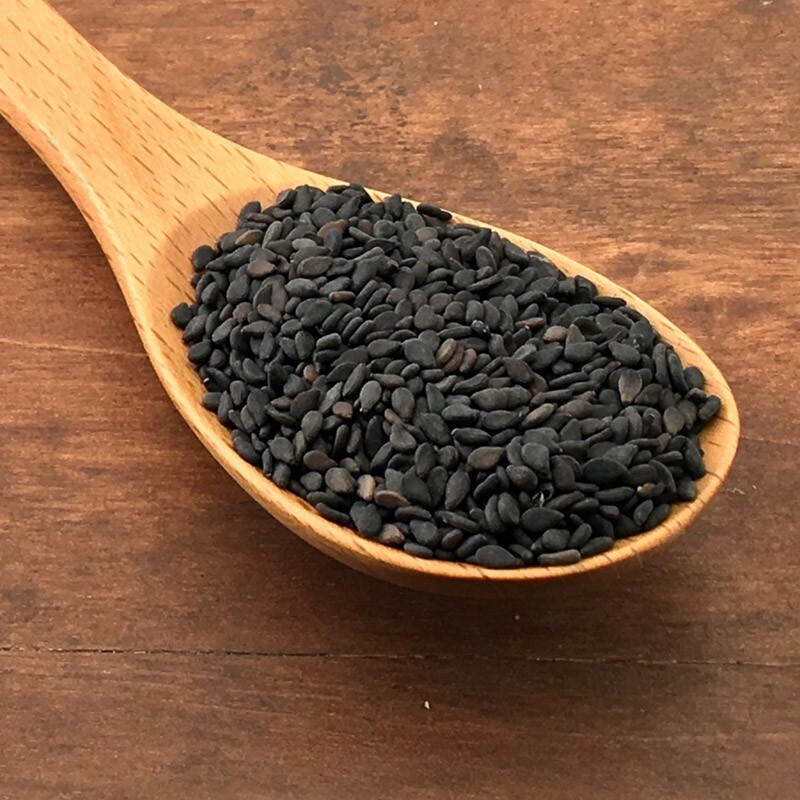 Nigella seeds, also called black Cumin, have been called "Blessed seeds" since ancient times for their many beneficial properties. Many medical studies confirm that Nigella Sativa contains antioxidant, anti-inflammatory, anti-cancer active ingredients that make it effective in killing bacteria, viruses, fungi and regenerating the body's cells. Nigella seeds have a light and slightly herbaceous aroma. The taste, slightly bitter and nutty is accompanied by a pungent aftertaste of pepper. 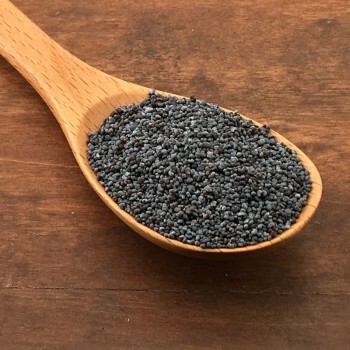 To best develop the flavor, Nigella seeds should always be dry-roasted or toasted in oil or butter. It goes well with legumes, potatoes and tubers in general and is often spread on bread or savory pastries (alone or mixed with Sesame or Cumin). The angel hair chillies are medium-hot peppers with a warm and aromatic flavor that are cut very thinly, like hair. 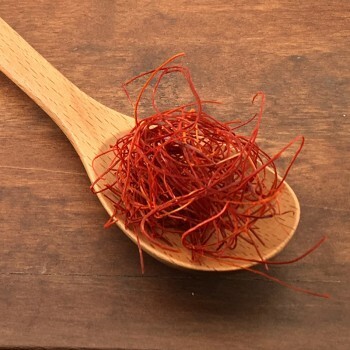 With this particular processing they are perfect for garnishing dishes of meat, fish, pasta or vegetables but also desserts, cocktails or hot chocolate. 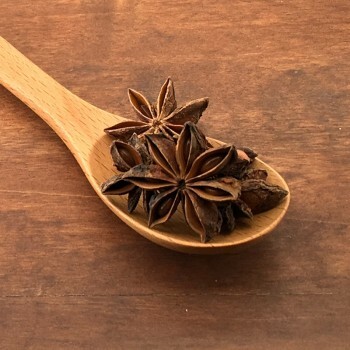 The used part of the star anise is the whole or ground dried fruit. Its aroma is sweetish with an aftertaste that reminds of mint. In cooking it is used to aromatize meat, vegetables and biscuits, infusions and it is also used to make digestive liqueurs (Ouzo, Pastis). Essential ingredient of gingerbread bread.The properties of star anise are many: diuretic, digestive, antispasmodic, aphrodisiac, antibacterial. Its consumption is recommended in all cases of heaviness in stomach, boating and spasms, especially if of nervous origin. Its aroma is very intense, it should therefore be used in moderation and in its whole form never chewed. 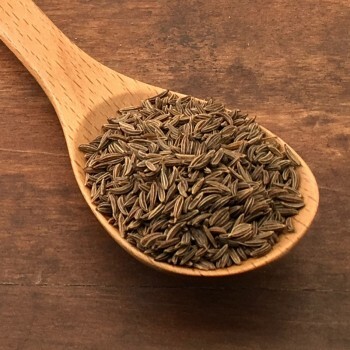 Originally from the Middle East, today it is cultivated mainly in the Mediterranean area and in India.The seeds of anise have digestive properties and help against bloating. 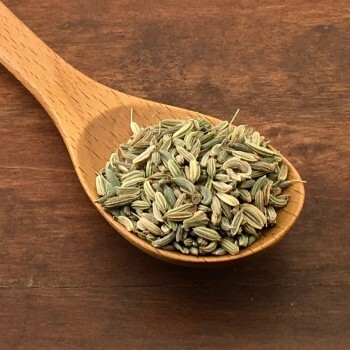 When in infusion together with fennel seeds they help to deflate the belly!In cooking the anise seeds can be used for sweet and savory preparations, whole or minced. In second courses of meat give an intense aroma especially in slow cooking and over low heat, such as braised meat or stew.You can also try them as a digestive infusion in the evening, adding ice to create a thirst-quenching drink or for liqueur preparation. Coriander has a very interesting flavor. It has a high concentration of vitamins c (ten times greater than an orange). It contributes to the strengthening of the immune system. 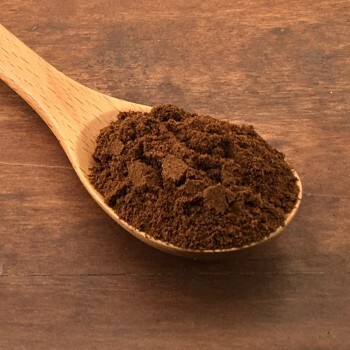 The powder is very delicate, can be used in large quantities, in spoons, to balance other spices that are dosed with coffee spoons. Together with garlic, chilli, clove and cumin, it perfectly adapts to meat dishes and vegetable soups and gives vivacity to fish dishes. It can be used in the preparation of salami, for flavoring meat, fish and vegetables, to flavor beers and biscuits. The seeds, used as a spice, are less spicy than the leaves and are one of the ingredients of curry and garam masala. The leaves, in the East, are used instead of parsley. 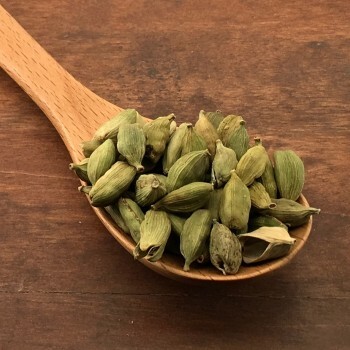 Cardamom contains mineral salts, vitamins and essential oils and is rich in antiseptic and digestive properties. Also excellent in cooking it is perfect in healthy herbal teas. It helps refreshing the breath after eating heavy foods. Cardamom seeds can be used whole or ground. It can be used ground to flavor soups and soups, but also vegetable patties. In whole seeds we find it in chai tea, with black pepper, cinnamon, black tea and cloves or in Arabic coffee. Try flavoring your coffee by putting some cardamom seeds in the moka filter together with coffee. Lavender flowers will be very useful for making homemade bags to perfume wardrobes and drawers. 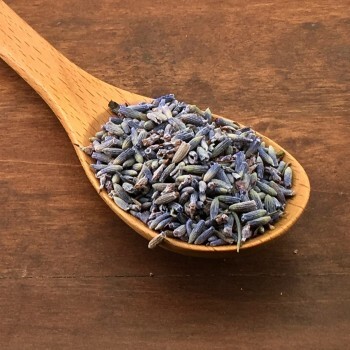 Dried lavender flowers can also become one of the additional ingredients for preparing natural soap bars or homemade herbal candles. The lavender infusion can also be taken as a drink with soothing and relaxing properties. In this case the dried flowers of lavender can be combined with lemon balm, lime and chamomile, to obtain an infusion with a pleasant taste. The infusion prepared with lavender alone has marked diuretic properties. 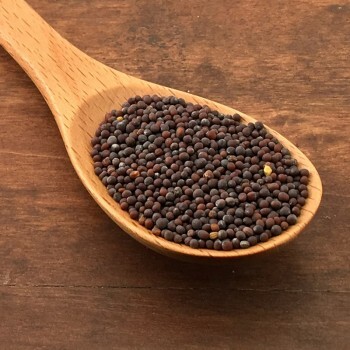 Mustard seeds are obtained from a plant belonging to the Crucifers family spread throughout Europe. 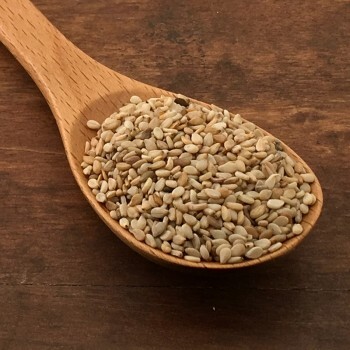 These seeds can be used for cooking as ground together with other ingredients such as oil, vinegar and sugar to preapre the famous mustard sauce as we know it in Italy, but also as whole seeds to prepare sauces for meat dishes. Mustard seeds are also used to prepare Mostarda, a speciality made of candied fruit in jelly, which results more or less hot according to the quantity of mustard seeds it contains. The cannabis sativa seeds provide all 8 essential amino acids. 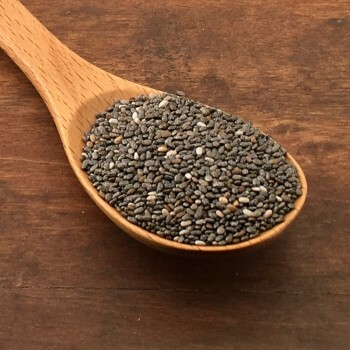 In addition the oil contained in the seeds contains about the 90% of polyunsaturated fats. They have a high percentage of proteins, essential fats, vitamins and enzymes. 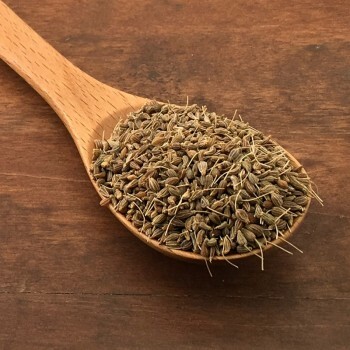 These seeds are naturally gluten-free, and are not contaminated with gluten during the processing and packaging process.They are ideal for cooking, added raw to salads and side dishes, they will retain all the nutritional values. Rich, enveloping, vanilla scent with a slightly pronounced caramel hint. Taste similar to that of almonds, with uncommon flavors, spiced and smoked together. 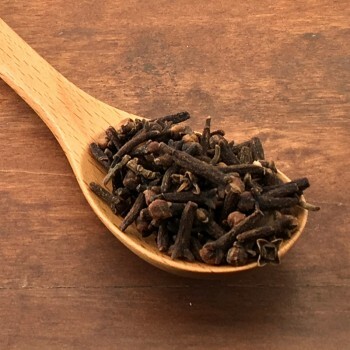 The tonka bean, made from the seeds of a huge Amazonian tree, is grated just like nutmeg and is an ingredient loved by the most famous patissiers. 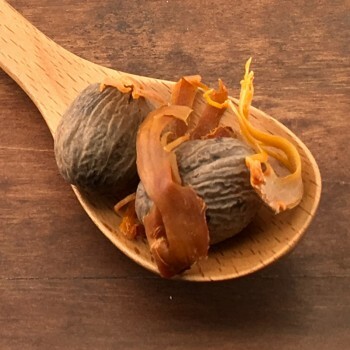 Its taste of almond and vanilla goes perfectly with chocolate, with the sweetest fruits like strawberries and apricots, but it is good in all the preparations that use the use of vanilla. Also used in cocktails, especially if they include whiskey and cognac. It is not commonly used in cooking, loved by chefs for its delicious aroma, it is often used to enhance mayonnaises and sorbets. The Pimenton is red pepper from the Extremadura region in Spain, dried, ground and smoked. Depending on the peppers that you use the pimentón will be sweet or spicy.Typically Spanish, it is the spice that gives the classic flavor to Chorizo.In Italy we recommend it with penne all'amatriciana, with pork in general, but also with cod fillets, legumes, soups. Really tasty! A plant of Japanese origin from which a green paste coloured paste with a peculiar spicy taste is obtained. In order to obtain the paste from the wasabi powder mix water and wasabi in equal parts. Wasabi paste is often used to accompany raw fish, particularly sishi and sashimi, and sometimes solved in soy sauce. 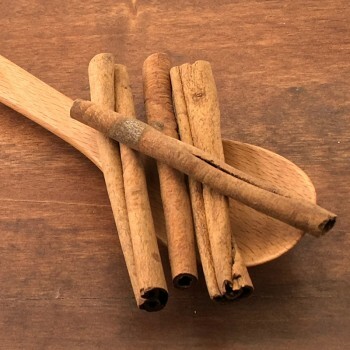 Regina Cinnamon is widely used in traditional Chinese medicine: rich in antioxidants, regulates blood sugar, stimulate digestion, fight menstrual pains, colds, arthritis, intestinal viruses. 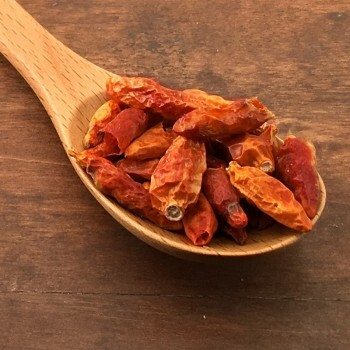 It is an antibacterial and an antiseptic Its fragrance is predominantly sweetish, warm, with slightly spicy nuances with a pungent and dry aroma. Typically used for desserts, creams, cream, cakes, teas. 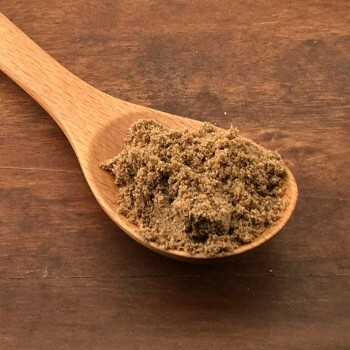 Essential spice in Vin Brulè, nevertheless it is also surprising the use in savory dishes, meat, fish, rice vegetables. It is indeed one of the ingredients of the curry. Cloves have a fruity, bitter, spicy taste. Cloves are used in many spice mixtures known as curry powder, Chinese "five spice" powder, Garam masala or vin brulè. In the kitchen with poultry, meat, fish and game. They are particularly good with apples (sauces, puddings or cakes) and perfectly match with cinnamon, star anise and cardamom. 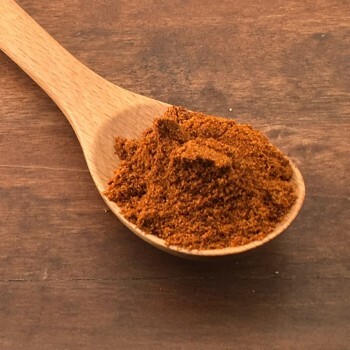 This spice has a high antioxidant power and is widely used in Ayurvedic medicine . 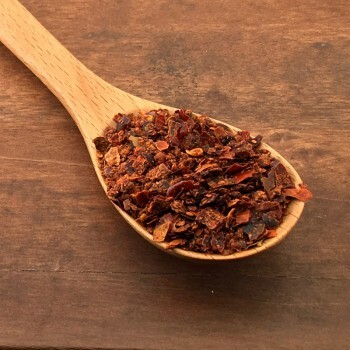 Paprika flakes are fruits of paprika cut into squares 9 mm x 9 mm which are dried and dried, and appear as little bows.Paprika flakes are made with sweet peppers. They can be used anywhere from stews, salads, chicken, risotto or minced meat. They are tasty and decorative. 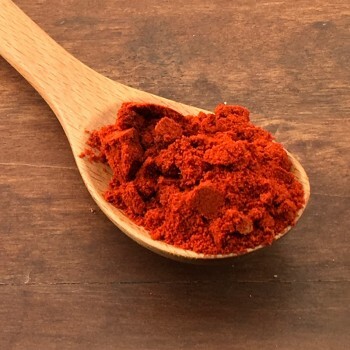 Paprika is a spice, which is obtained from the chili plant. The paprika is obtained from the drying and grinding of different types of chili that are then mixed together. 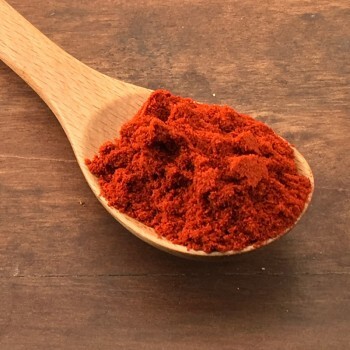 Hence its particular spicy taste.There are sweeter types of paprika and others, which are decidedly spicy. It depends if only the pulp is grounded and dried or also the seeds. 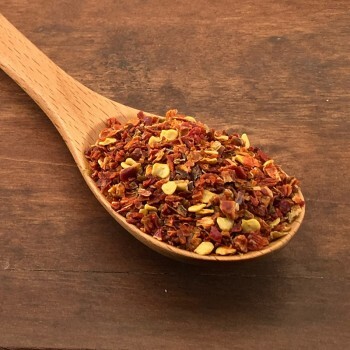 According to the chosen blend, you will get a more or less spicy taste.The paprika in the kitchen is used a lot for the preparation of sauces and for seasoning the vegetables. It also goes well with potatoes and legumes. It is used in the famous traditional Hungarian dish, the goulash, made with stewed meat and vegetables. Cloves have a fruity, bitter, spicy taste. Cloves are used in many spice mixtures known as curry powder, Chinese "five spice" powder, Garam masala or vin brulè. In the kitchen with poultry, meat, fish and game. They are particularly good with apples (sauces, puddings or cakes) and perfectly match with cinnamon, star anise and cardamom. 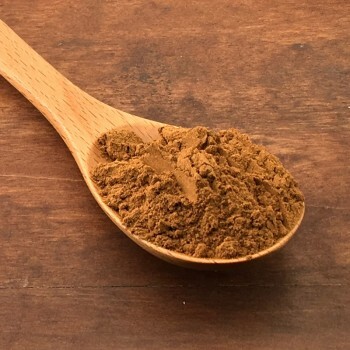 This spice has a high antioxidant power and is widely used in Ayurvedic medicine. Fenugreek (Trigonella foenum graecum) is a plant of the Fabaceae family. Known for its restorative, mucolytic and anti-inflammatory properties. Let's find out better. Increases milk production during lactation and stimulates appetite. 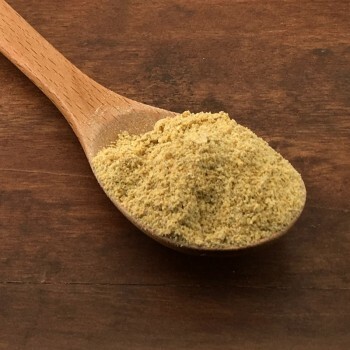 As a spice, with a strong and spicy flavor, it is an essential ingredient in curry powders and is ideal for flavoring salads, soups and side dishes. Ginger is a perennial herbaceous plant native to the Far East. Very used in cooking, it has some anti-inflammatory and digestive properties that make it useful for the stomach and the heart. Just a pinch to give each dish a pleasantly spicy touch. In addition, ginger has the ability to speed up your metabolism, helping you burn fat! 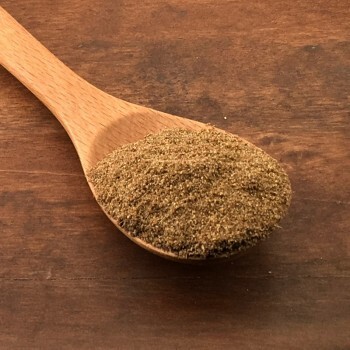 Cumin is one of the most loved and widespread spices in the world. It can be found in the form of whole seeds or ground. 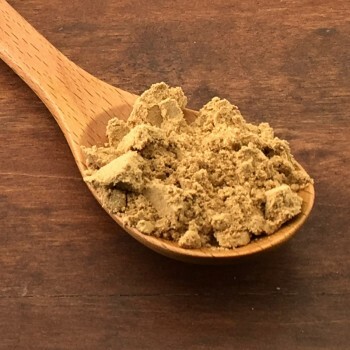 In addition to being used in a thousand recipes it is now highly valued also for its great beneficial and curative properties for the body, as well as being a portentous fat burner. It is mainly found in the cuisine of North Africa, India and the Middle East, but it has also become widespread in Europe and America. In Mexico it is an essential component of the guacamole sauce, while in Europe it is used on meat and vegetables, to flavor bread or some types of cheese. Nutmeg, typical of Indonesia. Everyone knows its warm and intense aroma conferred by the high content of essential oils. The mace instead is the husk of nutmeg (the membrane that covers the classic walnut); less known but more valuable. Its aroma and its warm fragrance are a must try. In cooking: a pinch of finely grated walnut goes well with béchamel, eggs, boiled potatoes, fresh and stuffed pasta. 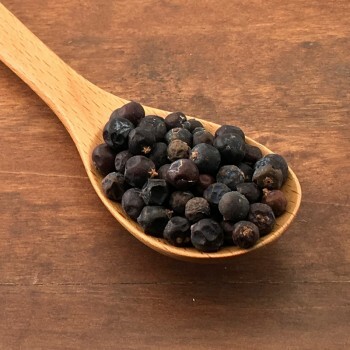 Mace is used mainly for the preparation of pies, focaccia and pate. Do not overlook its use in sweet cakes and cheese dishes. 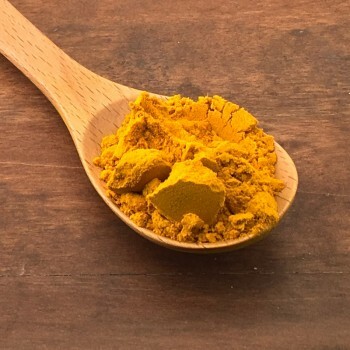 Turmeric is an antioxidant spice with purifying and antitumor properties. It is used as a natural food supplement for the ability to counteract inflammatory processes within the body. 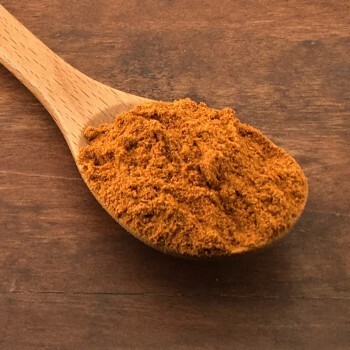 Curcuma is credited with the ability to counteract the onset of many types of tumors.But the spice alone is not absorbed optimally by the body: to express at best its beneficial properties, it must always be combined with black pepper or taken together with fats. Let your imagination run wild with the use of turmeric in cooking: we can use it in a thousand ways, sprinkle a couple of teaspoons on the risotto during creaming, or add it to the potatoes in a pan to end of cooking, in breading, always remembering to add a pinch of black pepper to all our preparations. The Cayenne pepper is a "ardent" hot pepper, and it is also called, devil pepper, it is commonly sold in ground form. 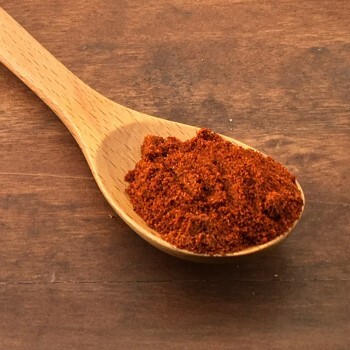 (Spiciness 6/10) It is rich in Vitamin C and has antioxidant properties.Cayenne pepper is very versatile. Try it on seafood, stews, soups, pizza, in a chocolate dessert, or in hot chocolate! Spice of the Mediterranean area used since ancient times. Its colour is purple, and it has a sour taste similar to grated lemon peel. It is usually added to dishes based on fish and meat, mixed with sliced onions and added anywhere where a touch of acidity is required, good emulsified with a little oil.